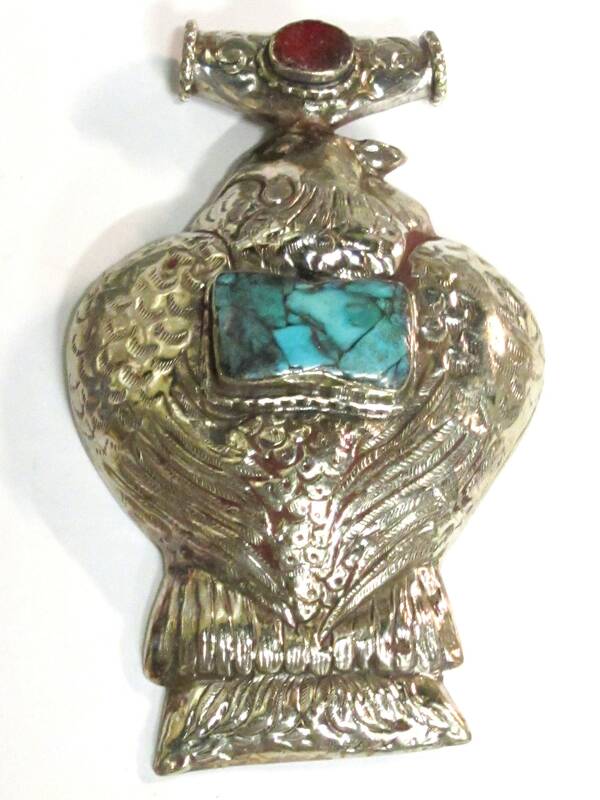 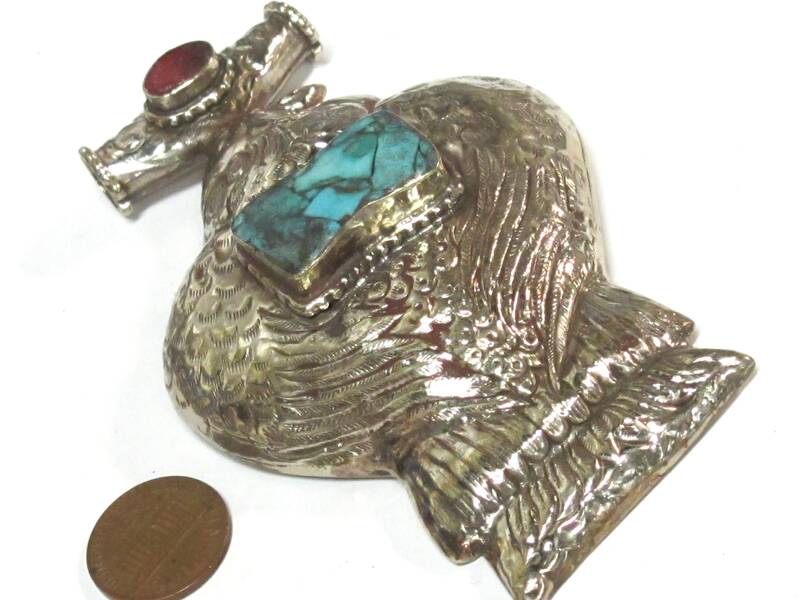 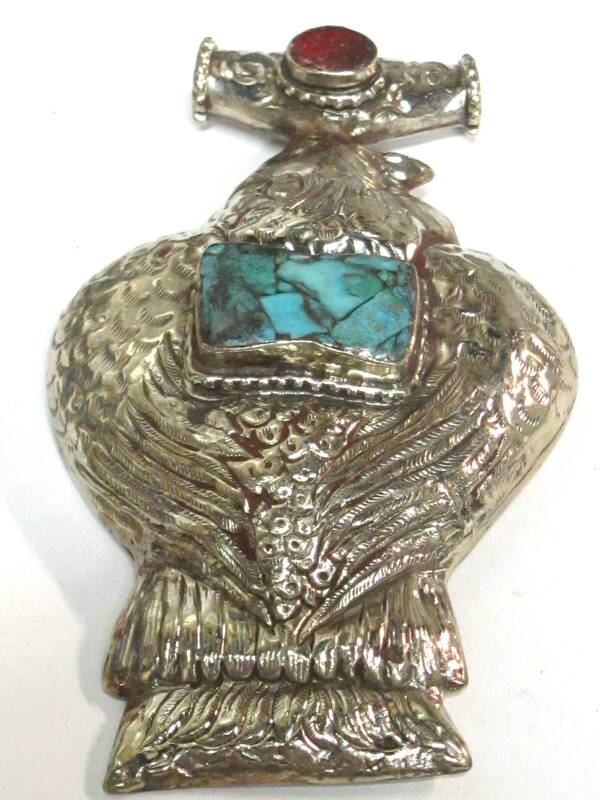 This is a extra large size tibetan silver finish repousse pendant with bird carving in the front. 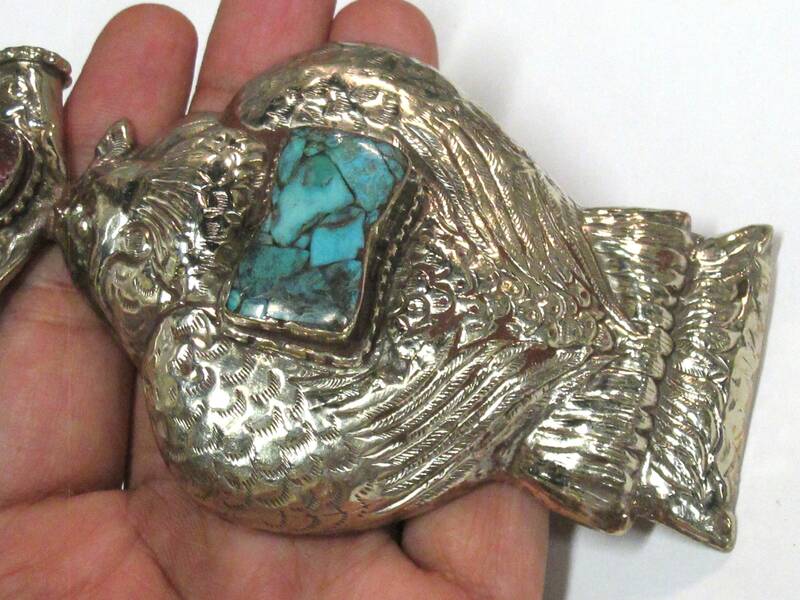 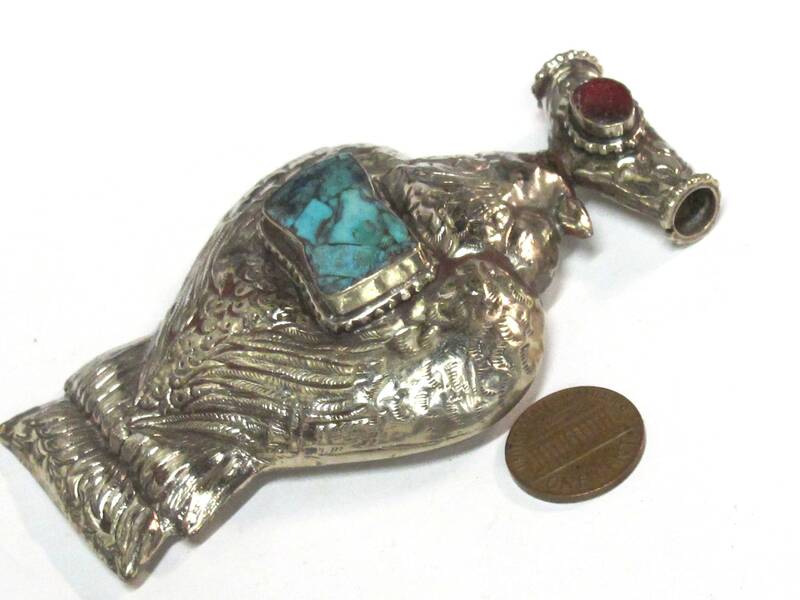 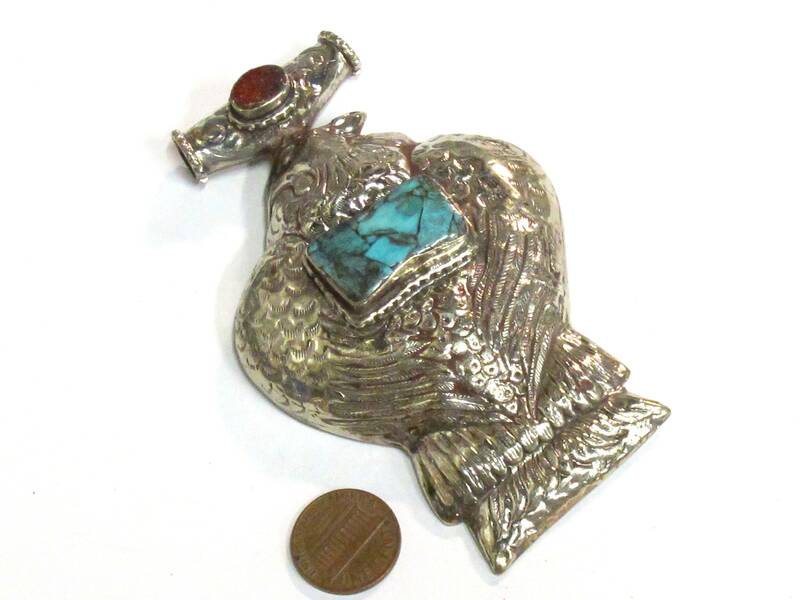 Intricate wings carved details around turquoise inlay in center. 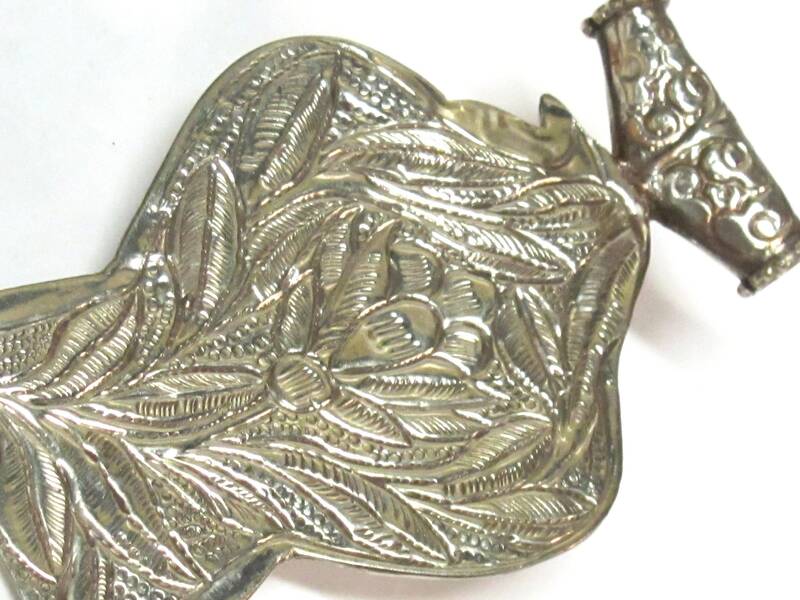 Backside is carved with floral design. 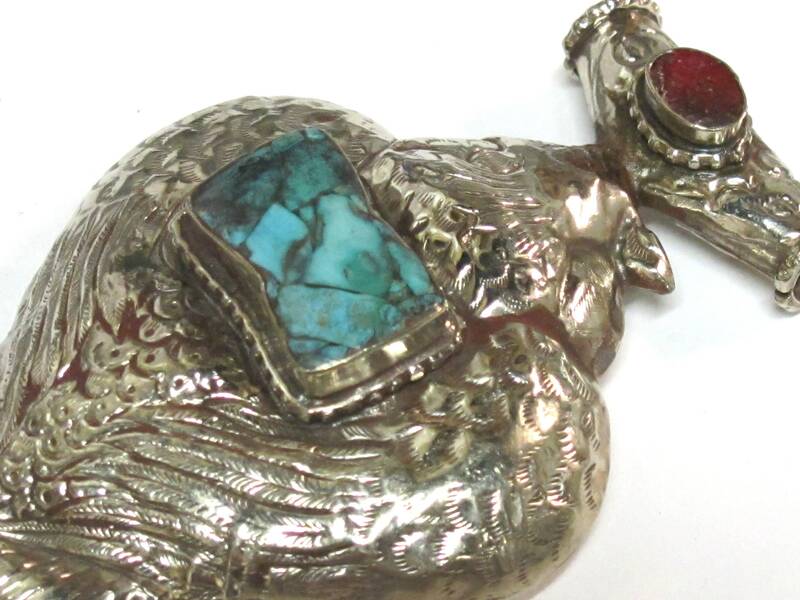 This will make a bold statement necklace . 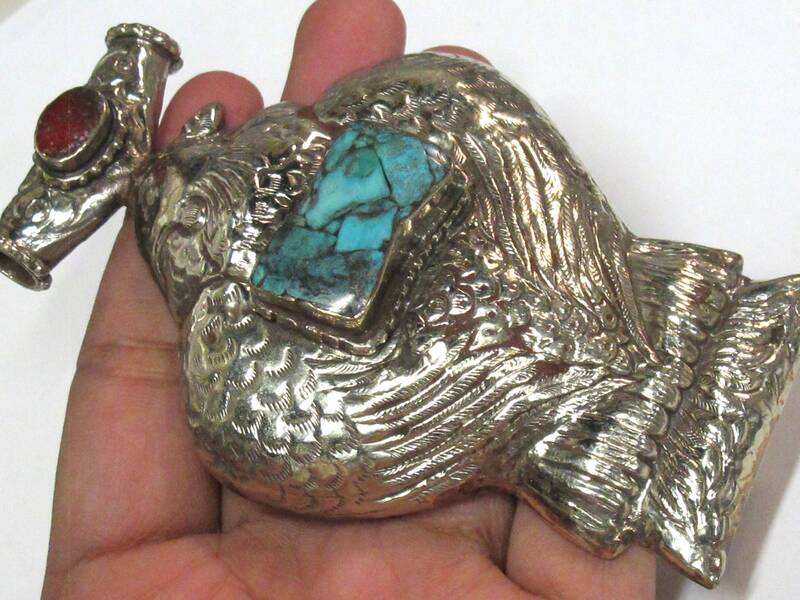 Handmade in Kathmandu , Nepal.